When I was young (around 1983) I used to load looking at the fantastic artwork on the loading screens for the ZX Spectrum. It brought so imagination on what the game was like and passed the time away as it loaded in. This video I made shows just the games from Hewson Consultants which includes the 2 amazing Technician Ted games. Hope you enoy it and please let me know if you have any memories of the loading screens you remember as a kid. My favourite Speccy game and loading screen. I remember going to the local WHSmiths and typing something similar to this. 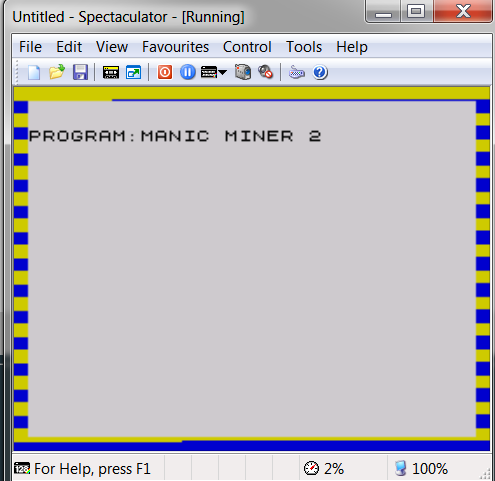 10 PRINT AT 2,0;"Program: Manic Miner 2"
YouTube videos won't play in Firefox?